Screen Size 2.0" 2.7" 2.7" 2.7"
In a world where so many people drive a car daily, dash cams are increasingly popular. 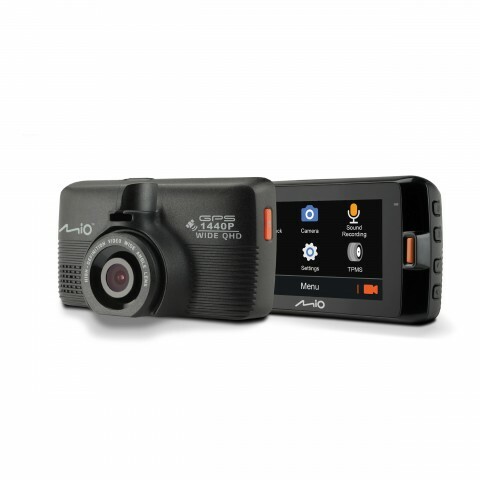 With technology that is always getting more advanced, there is no better time to get a dash cam for your vehicle. Dash cams are the surveillance cameras of our roads, recording reliable footage of accidents as well as a whole host of other features. They allow you to relive memorable journeys, stay safer while driving, share adventures with friends and family, and capture incidents should you be unfortunate enough to be involved in one. Whether you're looking for something simple and easy-to-use or something at the height of its technology, a dash cam makes the perfect companion on any road trip. Mio is a class-leading in-car technology brand that's innovation is led by their dedication to bettering people's lives. They strive to provide a stress-free driving experience through the use of their dash cams by focusing on the wellness of their customers. Mio has won countless awards for their range, which contains a wide variety of devices. Their technology is excellent, and many of their dash cams feature GPS tracking, built-in WiFi and a touchscreen. 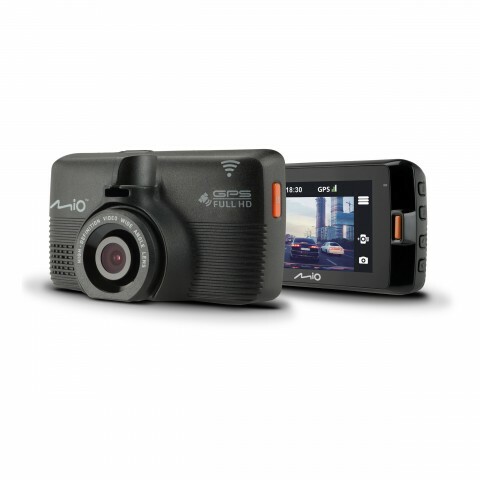 Experience the first-rate performance of Mio dash cams that can provide you with the peace of mind you need on the road. 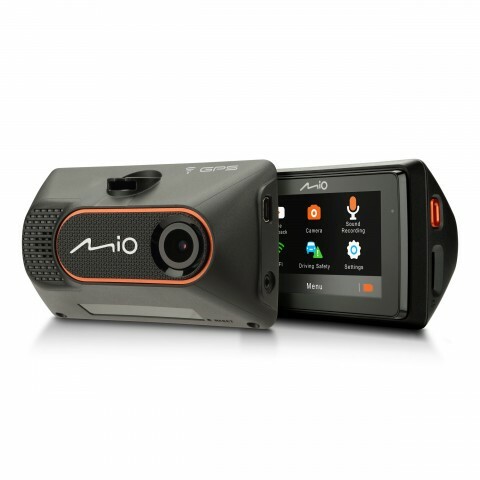 WHAT DO MIO DASH CAMS HAVE TO OFFER? Even with the safest driver behind the wheel, accidents can happen and it is best to be prepared. Protecting yourself against false claims is extremely important should you be involved in an incident and dash cams are the most reliable eye-witnesses you're ever going to get. The evidence they provide will help speed up a claims process and prove what actually happened. This is useful considering that driving incidents are extremely stressful and it can be difficult to recall details. Not only do you get quality footage to use as evidence, but you can also get other safety features with selected Mio dash cam models. This includes a Forward Collision Warning System, which warns you when the car in front has moved, preventing a delayed response, and a Lane Departure Warning System which alerts you if you drift out of your lane. Recordings are no longer limited to camera footage with new GPS tracking technology. Integrated GPS tracking in your dash cam means you can store and access GPS data should you need to know your exact location. It also logs your speed, alerting you if you slip over, as well as providing safety camera warnings. Having accurate speed, time and location information could be vital if you are involved in a collision. This valuable data is stored in a safe place for when you need it. Plus, safety is at the forefront of this technology, so that you can simply sit back and enjoy the drive. 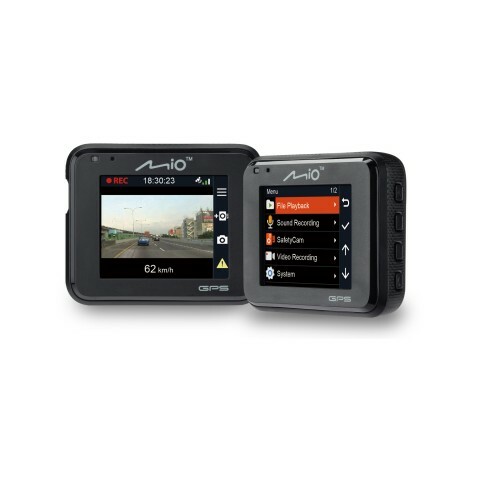 To stay connected with your world while you're on the road, many Mio dash cams come with built-in WiFi. This provides the ultimate connectivity by moving your footage directly to your smartphone, meaning you can access it anywhere. You can also view journeys on a PC or Mac, for your convenience. The WiFi feature is already built into the device and gives you the backup you need, should you have to review footage in the event of an incident. This WiFi technology also allows you to stream your drive directly to social media so that you can share memories with your loved ones. Plus, you can share your footage via the MiVue Pro app. Whether you manage to catch something weird or something wonderful, you can share the experience with friends and family. Another important factor of a dash cam is how well the hardware performs and how easy it is to use while you’re in the car. Thanks to the innovative designs that Mio offers, you can enjoy touchscreen technology which allows you to use your device efficiently. Reacting quickly with a simple tap, there is no need to fiddle with buttons to get your dash cam working. Make every journey one to remember with this handy, user-friendly feature.